This website is operated by Health Solutions International, LLC. Please read our Terms of Service before accessing or using our website. If you use this site, you are agreeing to be legally bound by the Terms of Service. Should you not agree to these terms, then you do not have permission to use this the website. If you agree to the Terms of Service of this website you acknowledge your are of age of majority in your country, state or province of residence. Health Solutions International, LLC reserves the right to deny service for anyone at any time. Health Solutions International, LLC is not responsible should the information available on this site not be correct or current. The material on www.emeryempower.com is available as for general information only. The information herein should not be the sole information relied upon for making any decisions. Content on this website may include links and references to third-party businesses or websites. We are not responsible for any decisions made or actions you take on third party sites. Health Solutions International, LLC, nor Kyani, nor any individuals affiliated with this website are responsible for the financial or health related decisions you make. 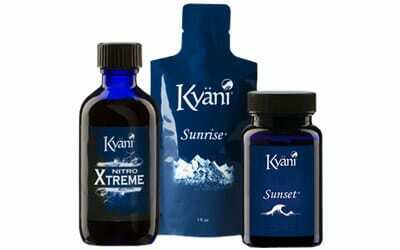 If you choose to become a Kyani distributor you acknowledge that no guarantees are made regarding earning capacity nor are any health claims being made regarding the Kyani products. Questions about the Terms of Service should be sent to us at support [@] emeryempower.com.